The Blue Marlin Grand Championship is one of the biggest fishing tournaments in the Southeast. It takes place July 12-17 in 2016, and features anglers from all over setting sail to in the hopes of reeling in the biggest fish the Gulf of Mexico has to offer. With it going on, it would be a perfect time to get out on the water for some fishing of your own aboard The Triple Trouble. Being out on the water during a tournament like this would be a truly amazing experience. While aboard The Triple Trouble, you’ll be able to take in all of the sights the tournament has to offer. You could see all of the beautiful different boats and their setups that are created to help these competitive anglers reel in a huge catch. Also, when an angler does have one bite, you would be able to watch these fishing masters try and land these huge, majestic fish, which is an experience you won’t soon forget. The tournament is also the last one of the Gulf Coast Triple Crown Championship. So who knows – you might even be lucky enough to see an angler reel in the winning fish! During the tournament, you can also drop a few lines of your own and get in on the action and excitement. Who knows, maybe you will be able to reel in a big fish you’ve never caught before – your own personal trophy from the weekend. The weather will be beautiful at this time of year, which will make your time out on the water even that much more enjoyable, and with all the different teams and excitement in town, there will be plenty of fun to have on shore as well! 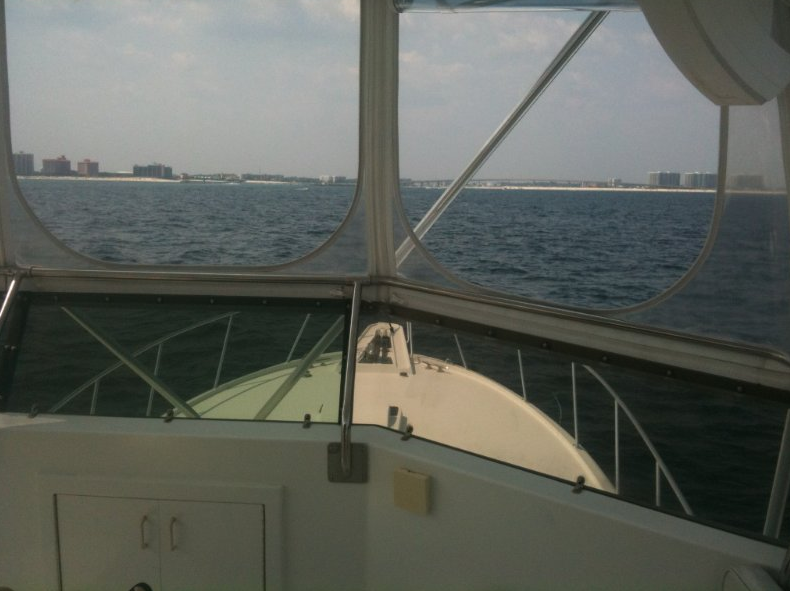 The Triple Trouble offers deep sea fishing charters from Orange Beach, Alabama, taking anglers at all experience levels out in to the Gulf in search of great fishing. No matter what kind of fishing excursion you’re looking for, you will be able to find it with our charter, helmed by Capt. Chad. For more information on our charters or to book your trip, call us today at 256-431-5767!